She's finally starting to smile again, thanks to him. 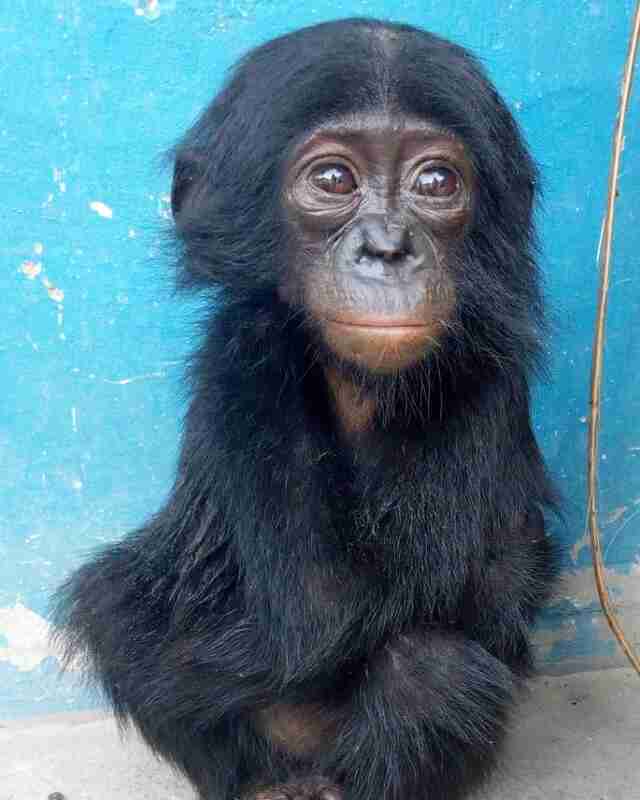 Esake is a baby bonobo and she's finally starting to smile again. In this baby ape's case, the slightest hint of a grin, considering what she's been through in her short little life so far, is a sign of true resilience. Late last month, Esake was spotted riding on the back of a bicycle, bound for a market in the Democratic Republic of the Congo (DRC). At such a young age, Esake should have been attached to her mother. But nothing had gone the way it should have. Thankfully, someone noticed little Esake on this bicycle and knew something was wrong. 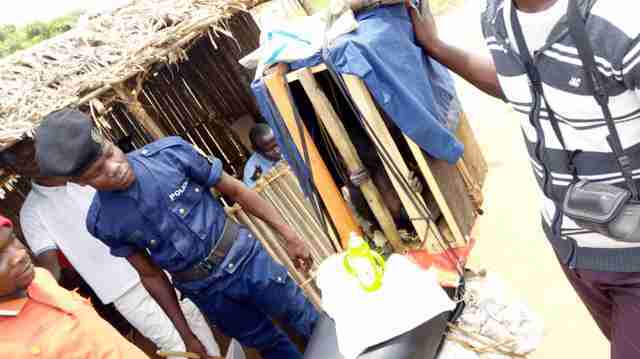 They contacted local police who discovered that the bicycle was being driven by a hunter who was delivering a shipment of bushmeat. Esake's mother had been one of the hunter's victims, shot and killed with a poisoned arrow. Often, the infants of killed apes are sold by hunters into the illegal pet trade. But Esake's fate would be different. 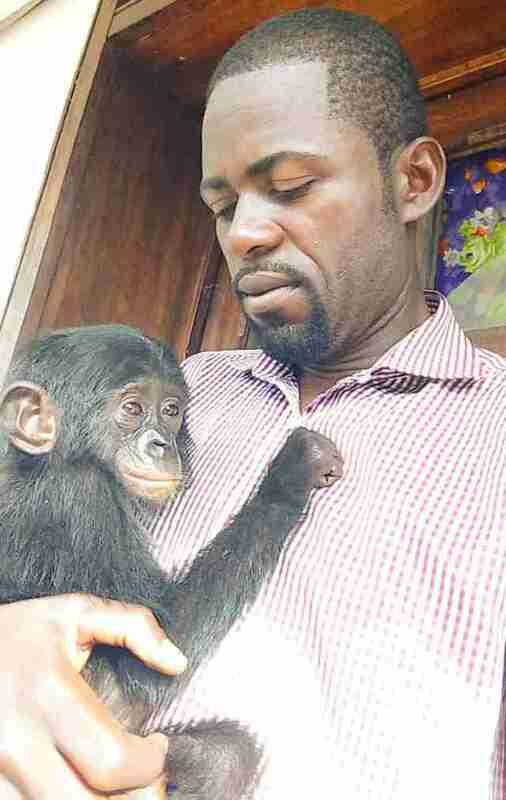 Soon, a man named Héritier Mpo, a community partner of the Bonobo Conservation Initiative (BCI), came into little Esake's life, and her face lit up when she saw him. Esake was immediately attached to Héritier — but her journey was far from over. 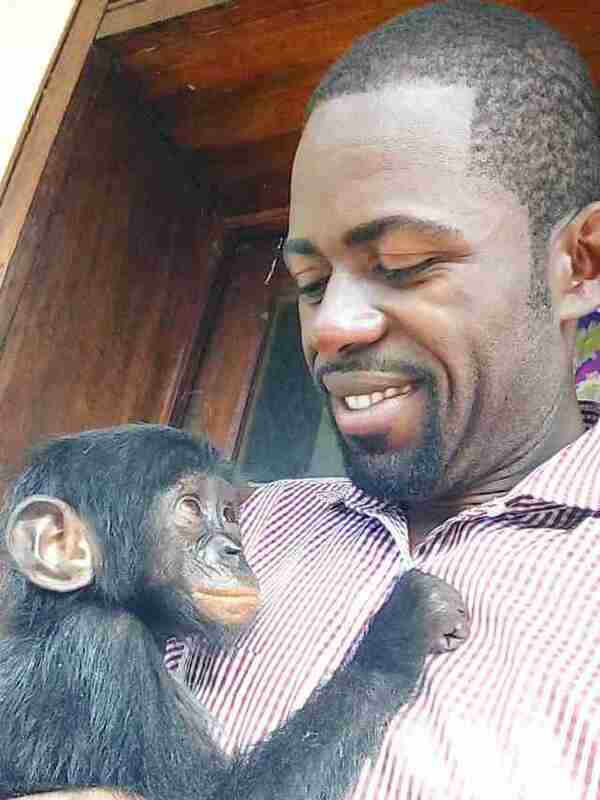 The people at BCI were working quickly with another organization, Lola Ya Bonobo, to coordinate a place for the vulnerable little orphan at a sanctuary — but getting there, through the jungle, would not be simple. "Transportation is difficult and expensive in the DRC, and we must get Esake to sanctuary as soon as possible to ensure her health and safety," BCI wrote. "Bonobo rescues can also be dangerous to the humans involved." While transporting Esake, Héritier ended up having a motorbike accident and hurting his leg — but he managed to keep Esake completely safe from injury. "Esake has had a harrowing couple of weeks," BCI wrote. "Although traumatized and weak, Esake began to regain some strength [and] flourished under Héritier’s care. She readily took to drinking from a bottle and eating fruit." Héritier and Esake's journey together finally came to an end when the little orphan was handed off to people who then brought her to the sanctuary in Kinshasa. Here, she'll grow up safe and strong, with others like her. "We are pleased to report that she arrived in Kinshasa on Tuesday and is now getting adjusted to her new home!" BCI wrote. Against all odds, Esake is finally back in a place where she can belong — and that's certainly something to smile about. 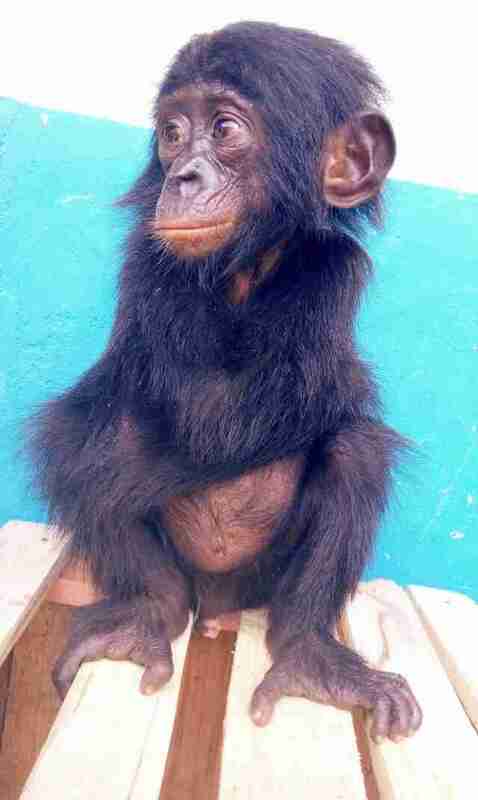 You can help more bonobos like Esake by signing this petition or making a donation to BCI.